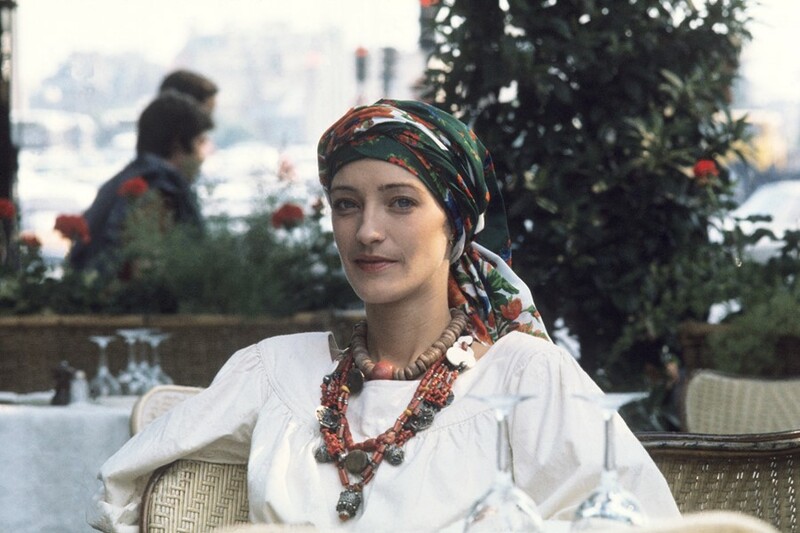 Loulou de la Falaise was, and continues to be known for her faultless eccentricity, fabulous accessory designs and as longtime collaborator and right-hand-woman of Yves Saint Laurent. In 2014, Rizzoli published a monograph on her, by Ariel de Ravenel and Natasha Fraser-Cavassoni and featuring a foreword by Pierre Bergé, Saint Laurent’s business partner, and it’s a tome well worth revisiting as the anniversary of her birth, on May 4, approaches. 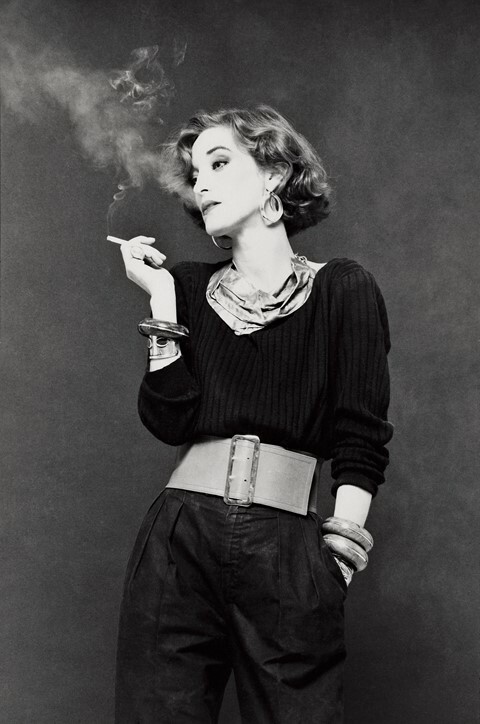 Comprising endlessly chic photographs of De la Falaise, the book forms a smorgasbord of inspiration and is interspersed with text by Fraser-Cavassoni and quotes on De la Falaise’s singular charm from every fabulous person imaginable: Grace Coddington, Marisa Berenson, Anjelica Huston, and of course Saint Laurent himself. De la Falaise’s own witticisms are included, too, as the publication meanders comprehensively from her childhood and the family she was born into (her mother was famous model and actress Maxime de la Falaise), to her life in 1960s New York and London with the likes of Ossie Clark, Diana Vreeland and Andy Warhol, through to the 70s and 80s, which saw her move to Paris to work with Saint Laurent and Bergé (dubbed in the book ‘The Glorious Years’), and on to the ‘Magic Moments’ she shared with husband Thadée Klossowski and their family and friends. 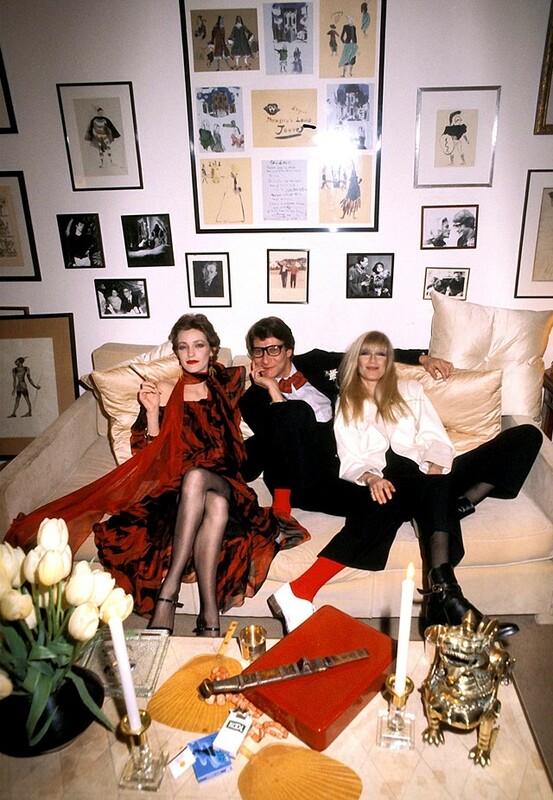 Of the years she spent at Saint Laurent, a quotation from De la Falaise reads: “The atmosphere in the studio could get very silly and jolly and we all had loads of fun. 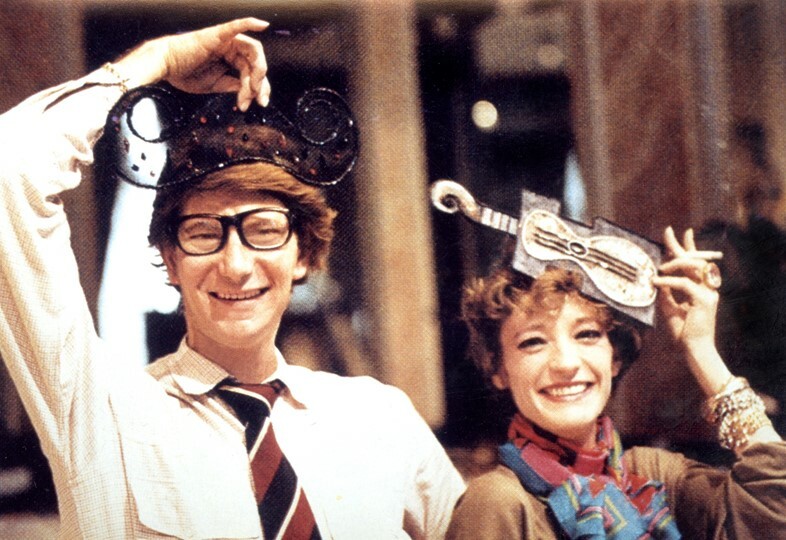 We loved to dress up and dress others up and shared many memorable fits of giggles.” It’s lines like these that hint at De la Falaise’s inherently rebellious nature – she was expelled from three different schools in her youth – and the mischievous seeking out of fun that she was to become renowned and adored for. It goes without saying that De la Falaise had impeccable taste and style. One section of the book details her wedding to Klossowski, which was by all accounts a party for the ages held at Paris’ Bois de Boulogne, described variously as “incredible, mad and extravagant” and a “baroque night” that saw “lots of wild dancing”. De la Falaise wore an Indian-inspired ensemble, a look that apparently took minutes to construct after she and Saint Laurent focused all of their efforts on furnishing the party and neglected to make her dress. A feathered, bejeweled white turban atop her head and white clothes adorned with red and white tassels and layered necklaces formed her first outfit, later changing into a dark blue creation, swapping the turban for a glittering crescent moon perched on her head. These two style moments alone are indicative of the effortless glamour De la Falaise kept as a constant throughout her life, perhaps in part due to her Anglo-Irish-French parentage. Loulou de la Falaise by Ariel de Ravenel and Natasha Fraser-Cavassoni is available now, published by Rizzoli.